On behalf of the Board of Directors of the International School of Panama ( ISP ) and their highly engaged Search Committee and school community, we are pleased to announce that following a world-wide search that attracted a large number of highly qualified candidates, Ms. Viki Stiebert has been selected as the new Director of ISP, beginning at the start of the 2017/18 school year. Viki has accepted the Board’s offer enthusiastically and appreciatively. Viki Stiebert brings outstanding personal and professional qualities to the position. Coming from an international family and extensive teaching and leadership experience in New Zealand and Europe, Viki is well positioned to lead ISP with what the Board recognized as her “clear and forward-looking vision of inclusive and holistic international education”. The Board expressed its confidence about Viki’s transition to her new leadership role by noting the achievements of the current director, Rajiv Bhat, whose “forward-thinking and innovative leadership … produced a road map for ISP to pursue ever-higher levels of excellence”. Viki earned a Diploma of Teaching from Wellington Teachers College ( N.Z. ) in 1988, followed by lower school teaching experience at Hamburg and Vienna International Schools, from 1992-2002 and 2002-2004 respectively. Viki retuned to New Zealand to the Samuel Marsden Collegiate School where she served as Lower School Director from 2004-2007. Since 2007 Viki is the Elementary Principal at one of the world’s top schools, Zurich International School ( ZIS ). Her rich teaching and leadership experience spanning close to three decades is matched by academic credentials: an M.A. in Leadership and Change Management from York St. John University ( U.K. ) and an M.A. in Art History from St. Andrews University Scotland, as well as certificates in International School Leadership from the Principals Training Center (PTC ). The ISP Board of Directors, the Search Committee and community, and Search Associates would like to thank all candidates who expressed interest in the director position at ISP, and to everyone who assisted and supported the search process. The International School of Panama (ISP) seeks a dynamic educational leader with outstanding communication skills and educational vision to help lead ISP on its journey towards academic excellence by promoting and fostering student learning and achievement, as well as innovation in teaching and learning practices. The successful candidate will be committed to the growth and development of students, faculty, staff and the community and will direct the school to achieve its Mission and Strategic Plan, leading it to an outstanding 21st Century learning-focused international institution. In 1982, the founders of the International School set upon a bold vision of building a leading academic institution in Panama. ISP is a private, independent, non-profit, day-school providing an English language education and has become the school of choice for the children of multinational executives, diplomats and the international community in general. The school operates under a license granted by the Ministry of Education of Panama and is accredited by AdvancED and the Southern Association of Colleges and Schools (SACS). 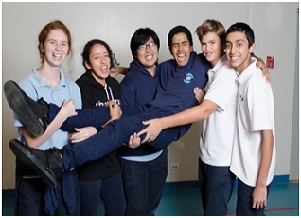 ISP is a member of the International Baccalaureate Organization, offering the IB Diploma Program in grades 11 and 12. The school has recently undergone rapid growth, its student population increasing about 65% during the past seven years. During this period, an extensive expansion and modernization of the facilities has been undertaken and is now completed. Today, we educate over 1200 students in pre-kindergarten through grade 12 from 50 different countries on a comprehensive campus complete with academic, athletic, and performing arts facilities. Our alumni and students continue to demonstrate strong academic achievement and pursue post-secondary education around the world. An ambitious strategic plan was adopted during the 2014/15 school year and will guide the growth and development of ISP through 2020. This plan outlines improvement goals, benchmarks for success, and action plan in the areas of academic excellence, organizational health, and climate and culture. The Director will shepherd ISP through implementation of this plan. 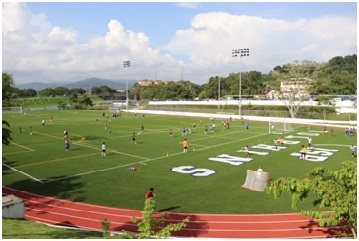 The International School of Panama is a vibrant institution with a record of academic excellence and commitment to deliver a holistic learning experience* to every student in every grade, every day, that has a foundation in a constructivist approach** such that students will grapple with ideas, problems and questions to experience real and meaningful learning, masterfully facilitated by ISP staff. The foundation of the K-10 Curriculum are standards based units developed within vertical and horizontal teams. Students in grades 11 and 12 all currently enroll in core coursework that is part of the IB Diploma Program. While historically, approximately 80% of graduating seniors pursue the full IB Diploma, ISP has recently implemented an exciting two-year innovation program that will complement core academic programming for students not pursuing the IB Diploma. This Innovation Certificate program will provide a rigorous pathway for students who seek to specialize in a particular area of study. Elementary School: We offer a unit-driven standards-based curriculum that emphasizes a strong foundation in literacy and numeracy as well as critical thinking, citizenship, and ample opportunities for creative expression. Our diverse approach to instruction includes providing learning support for students who thrive with additional support, offering an enrichment class for advanced students, having technology integration built into science units throughout the year, and integrating core content when it enhances the learning experience. Students stay fit and healthy in our physical education classes, they experience art and music in our specials classes, they get hands-on access to technology in our computer classes, and they learn to appreciate literature through frequent visits to our comprehensive library. Our all-school events complement our whole-child approach by celebrating our students’ diverse backgrounds and drawing us all together into community celebrations. Our goal is to support students by understanding the developmental needs of adolescents. Our approach to teaching and learning is collaborative and inclusive. Students participate actively in the learning process and work to develop independence, responsibility, and accountability for their learning. Our Advisory program is a cornerstone of our middle school. Our program includes discussions which reinforce good decision making, dealing with peer conflict and pressure, teaching and reinforcing organization skills, and celebrations and activities during which students engage in fun, team-building games. High School: We are a community of approximately 340 high school students (grades 9-12), fifty-plus faculty and staff members, and several hundred parents. Though a rigorous and engaging academic program sits at the core of the ISP high school experience – the arts, athletics, and service are also central to our program. The foundation is a shared belief that the most important thing that we do on this campus is take care of one another. All high school students successfully completing the ISP High School program earn an ISP Diploma. ISP offers the IB program to our 11th and 12th grade students. Typically, 60% to 80% of our juniors and seniors pursue the full IB Diploma. Approximately 90% of students pursuing the full IB Diploma at ISP successfully complete the program requirements and earn the IB Diploma. This diploma is earned in addition to the ISP Diploma. Of the students who choose not to pursue the full IB Diploma, the majority pursue IB Certificates in individual IB course offerings. Beginning in the 2016-2017 school year, juniors not pursuing the full IB Diploma will have the option of enrolling in a new two-year ISP innovation/entrepreneurship program. Technology is a central part of ISP from pre-k to high school. We are committed to preparing our students for their technology-infused future through innovative and effective technology integration across the curriculum. 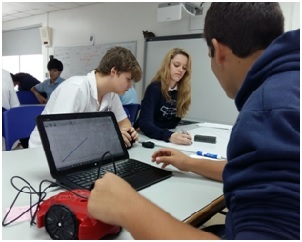 Through interactive whiteboards, iPads, computers, 3D printers, recording devices, and more, ISP students are creating, discovering, and connecting through technology to expand their learning. ISP students bring learning alive through their use of technology and work to make a difference in their country: Near Space launches, TedX conferences, live streaming sporting events and performances, social improvement projects, digital citizenship poster competitions, and more. Participation in athletics is far more than winning and losing games. 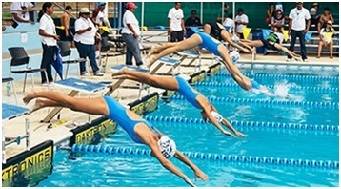 At ISP, we inspire our students to learn and develop through sports. Our enduring hope is that the lessons learned on the fields and in the gym will remain with our students for a lifetime. We strongly believe that athletics is not separate from the educational process but rather an integral part of it. We provide athletes with the opportunity to experience success and loss through our competitive programs. Through these programs, we endeavor to facilitate opportunities for our students to develop their playing skills, teamwork, leadership, physical fitness, and self-discipline. These skills are essential for future success in school and in the workplace, and there are few places where such skills can be better learned than on the sports field. Through the study of visual and performing arts, we foster creativity, collaboration, and critical thinking skills, while enriching the overall human experience for every student, creating a vibrant nexus between our school and the global community. 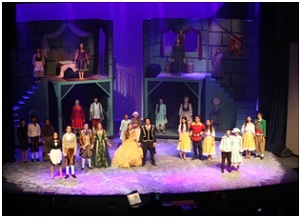 It is our commitment to give the students and community of ISP a platform for expression and learning through the arts. Our Visual and Performing Arts Center offers our community a center to gather and explore the richness of the arts being created by our students, faculty, and our families. Panama is a tropical and mountainous country located on the narrow isthmus linking North and South America. Panama lies just north of the equator and has two seasons, wet and dry. Panama’s population is approximately 3.4 million. Panama City, with a population of 1.5 million, is situated on the Pacific coast and has become a hub in the Central American region; it is a multinational, modern metropolis with all the benefits and dynamism of a large population center, and known as a safe and easy place to live and work. Excellent medical care is available as is fine dining, modern apartments, and diverse shopping. Good roads provide easy links to tourist areas. Divers and surfers have excellent opportunities to explore the waters of Panama, with beaches along the Pacific Ocean and the Caribbean. National parks offer pristine nature and wildlife, and a variety of hiking options. The Panama Canal is a signature attraction, and one of the greatest engineering achievements of modern times. The Director of the School is a critical leader who works in partnership with the Senior Leadership Team to build a cohesive unit, inspires and leads over 300 teaching-learning staff and non-academic staff, and works to ensure outstanding academic results are consistently achieved. The Director is a dynamic, creative, committed and open-minded professional. The Director of the School reports to the Board, whose main function is to appoint and give support to the Director, establish policy, define the direction of the school, approve the finances and ensure the school has adequate facilities. 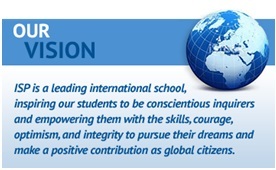 The Director of the School is committed to ISP’s Mission, Vision and Core Beliefs. The Director is in charge of the efficient and effective operation of the school. The Director will have direct responsibility for management, organization and supervision of all school activities. Experienced in leading a K–12 educational institution through transformational change to cultivate excellence in academics, athletics, the arts, STEM and programming that supports whole child development. A visible and inspiring leader, fully and meaningfully engaged in the life of the school. Proven proficiency in areas of school operations, including growth and expansion. Able to combine sound business acumen with a commitment to best practices and innovation in education. A charismatic communicator with strong capacity for community building and engagement. Balanced, fair, and collaborative leader who inspires students, faculty and the leadership towards common goals and continuation of current strategic plan. Possess cultural sensitivity, desire to embrace new and different cultures and flexibility to operate in dynamic multicultural environment. 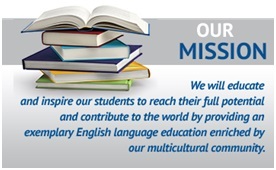 Able to engage the whole community in fostering intercultural understanding and international mindedness. The overall compensation will be competitive and structured to attract the best talent globally. ISP has selected Search Associates to act as our consultant to assist with this search. Interested candidates should send an application AT THE EARLIEST POSSIBLE TIME but no later than October 20, 2016. (The review of files will begin as soon as applications are received.)  Candidates should note, however, that in the event a uniquely outstanding applicant is identified early in the search process, ISP reserves the right to make an appointment before the deadline mentioned above. For this reason it is VERY IMPORTANT that interested candidates apply as soon as possible.